Former President Jimmy Carter will become the longest-living former U.S. president on Friday, surpassing the record set by former President George H.W. Bush. 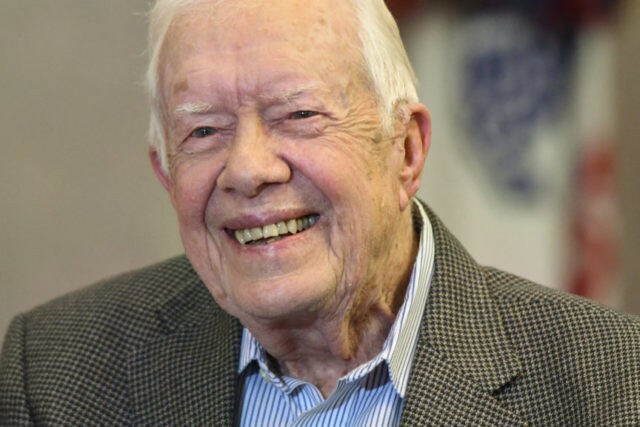 On March 22, 2019, Carter will become the oldest living former U.S. president in American history at 94 years and 172 days old, breaking the record recently set by Bush, the Atlanta Journal-Constitution reported. Bush, who became the longest-living former president in U.S. history in 2017, was 94 years and 171 days old when he passed away in November 2018. Only a handful of former presidents have lived past the age of 90, including Carter’s successor, former President Ronald Reagan. He lived until the age of 93. The Carter Center, a human rights and anti-poverty organization started by the former president, told the Atlanta Journal-Constitution that employees at the center are “rooting for him” and appreciative of his lifelong dedication to serving the less fortunate. Both Carter and his wife Rosalyn have remained active volunteers at the Carter Center and several other prominent charities, including Habitat for Humanity.